​​If you are secretly dreaming to learn how to dance a Latin dance or simply want to improve your current dance style don't look any further! ​We can make your dream come true. ​Please be aware of our Terms and Conditions. ​At Salsa Divina we have extensive experience in introducing and encouraging newbies to the fantastic world of Latin dances and to help more experienced dancer to polish their style and perfect their musicality, and their Lead/Follow technique! We don't rush through steps, we encourage you all the way, we clear all your doubts while you practice. We have different ways to show you how you can learn the moves so that you can chose the easiest way for you to remember which will make it easier to practise. And at the beginning of the learning process it's ok to feel a bit clumsy. You only need to be patient with yourself while you practise and you will do great. we can choreograph a routine in any Latin Dance for your First Dance. - Comfortable, breathable fabric clothes that allow you to move freely. 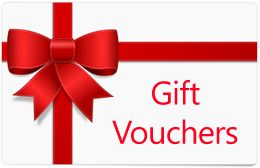 ** GIFT VOUCHERS AVAILABLE FOR ALL OCCASIONS!! !